You are here: Home / Featured / Florida Offers Online Career Counseling for Lawyers with David Behrend, M.ED. Is your “Career Compass” headed north in 2018? 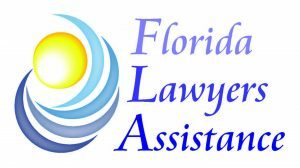 Many lawyers have benefited from Florida Lawyer Assistance, Inc. sponsoring career counseling programs each month since its inception in 2013, under the direction of the late Michael Cohen and David Behrend, Director of Career Planning Services for Lawyers in Ardmore, Pennsylvania. The free career counseling program comes to lawyers via computer, mobile device or telephone from the privacy of their home or office. Molly Paris is the new organizer of the webinar, under Florida Lawyer Assistance’s new Executive Director, Judy Rushlow. Disenchanted lawyers unsure of alternative career options. Join the monthly free, online and confidential career counseling sessions, which have a maximum of 25 participants. To join, visit http://global.gotomeeting.com/join684399861. If you’re joining by telephone, call (213) 493-0614. The access code is 684-399-861. The audio PIN will be shown after joining the meeting. The meeting ID is 694-399-861.